Avni, S. (2012) Hebrew as heritage: The work of language in religious and communal continuity. Linguistics and Education, 23, 323-333. Bennett, B. (2011) Religion and Language in Post-Soviet Russia (Routledge Contemporary Russia and Eastern Europe Series). New York: Routledge. Bennett, B. (2012) Orthography and Orthodoxy in post-Soviet Russia in A. Jaffe, J. Androutsopoulos, M. Sebba & S. Johnson (eds.) Orthography as Social Action: Scripts, Spelling, Identity and Power. Mouton: de Gruyter. Bennett, B. (2009) Critical Juncture: Church Slavonic and the Discourse of Cultural Preservation in Post-Soviet Russia in A. Galasińska & M. Krzyżanowski (eds.) Discourse and Transformation in Central and Eastern Europe. New York & London: Palgrave Macmillan. Chew, P. G. L (2013) A Sociolinguistic History of Early Identities in Singapore. London and New York: Palgrave Macmillan. Chew, P.G. L. (1993) The Chinese Religion and the Baha’i Faith. Oxford: George Ronald. Chew, P.G. L. (2011) Metaphors of Change: Adolescent Singaporeans Switching Religion in T. Omoniyi, (ed.) The Sociology of Language and Religion. Change, Conflict and Accommodation. London: Palgrave Macmillan: 156-190. Chew, G. L. P. (2008) Religious Switching and knowledge among Adolescents in Singapore in A. E. Lai, (ed.) Religious Diversity in Singapore. Singapore: Institute of Southeast Asian Studies: 381-410. Chew, G. L. P. (in press). Language Choice and Religious Identities in Three Singapore Madrasahs. The International Journal of the Sociology of Language, 0(0), 000-000. Ong, C. T and Chew, P. G. L. (2013). A Preliminary Study of Teacher Code-switching in Islamic Education Instructions. The English Teacher, XLII(1), 1-24. Eisenstein Ebsworth, M. and Ebsworth T. (forthcoming) Challenging perceptions of self and others: Creating a safe space for honesty, exploration and growth. In T. Austin (ed.) Exploring the influence of racism in education- Building antiracist allies. Eisenstein Ebsworth, M. (2011) Language variation from a bilingual perspective. Perspectives. 34:1, 17-20. Eisenstein Ebsworth, M. and Ebsworth, T. (2011) Teaching and Learning English in Puerto Rico: An approach-avoidance conflict? in J. Fishman and O. Garcia (eds.) Language Handbook, Volume II: The Language Continuum. New York: Oxford University Press. Eisenstein Ebsworth (2011) M. Guest Editor. International Journal of the Sociology of Language: Affective Aspects of Second and Foreign Languages. Eisenstein Ebsworth, M. (2010) Speech Communities: Language as a mediator of messages and perceptions. In Language in the Real World. S. Behrens & J. Parker (Eds.) 27-42. New York: Routledge. Meyjes, G. P. (2015) The Greatest Instrument for Promoting Harmony and Civilisation. Welwyn: George Ronald Publishing. Omonyi, T & Fishman, J.A. (eds.) (2006) Explorations in the Sociology of Language and Religion. Amsterdam: John Benjamins. Omoniyi, T. (2006) Societal multilingualism and multifaithism: A sociology of language and religion perspective in T. Omoniyi & J. A. Fishman (eds.) Explorations in the Sociology of Language and Religion. Amsterdam: John Benjamins: 121-140. Omoniyi, T. (2010) Holy Hip-Hop, language and social change, in T. Omoniyi (ed.) The Sociology of Language and Religion: Change Conflict and Accommodation. Basingstoke: Palgrave Macmillan. Rosowsky, A. (2013) Religious classical practice: entextualisation and performance. Language in Society, 42, 3: 307-330. Rosowsky, A. (2013). Faith, Phonics and Identity: reading in faith complementary schools. Literacy, 47, 2: 67-78. Rosowsky, A. (2012) Performance and Flow: the religious classical in translocal and transnational linguistic repertoires. Journal of Sociolinguistics. 16, 5: 613-637. Rosowsky, A. (2008) Muslim, English, or Pakistani? 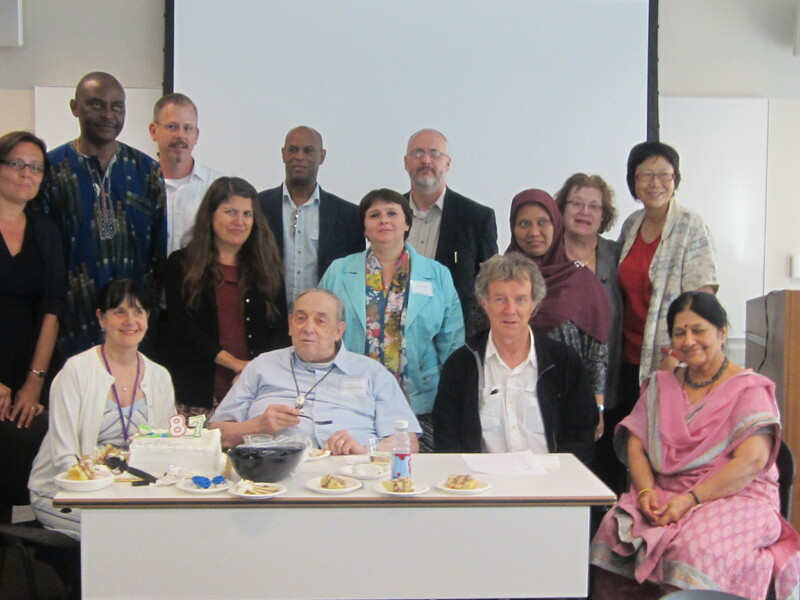 Multilingual identities in minority ethno-religious communities. In P. Martinez, D. Moore and V. Spaëth (eds.) Plurilinguismes et enseignement. Riveneuve. Paris. Said-Sirhan, Y. (to be submitted) Bilingual Malay-Muslims’ Stancetaking: negotiating linguistic spaces in globalized Singapore. Language Policy Special Issue. Soldat-Jaffe, T. (2012) Twenty-First Century Yiddishism: Language, Identity, and the New Jewish Studies. Eastbourne and Portland: Sussex Academic Press. Soldat-Jaffe, T. (2010) “Yiddish without Yiddishism: Tacit Language Planning Among Haredi Jews,” Journal of Jewish Identities, 3 (2) 2010: 1-24. Souza, A. (2016) ‘Linguistic and religious identities’ in S. Preece (ed) The Routledge Handbook of Language and Identity. London: Routledge, 195-209. Souza, A. et al (in press) ‘Easter celebrations at home: acquiring symbolic knowledge and constructing identities’ in V. Lytra, E. Gregory and D. Volk (eds) Navigating Languages, Literacies and Identities: Religion in Young Lives. Souza, A. (accepted) ‘Faith and language maintenance in transnational places of worship: Brazilian Christian Settings in London’ in T. Omoniyi (ed) The Role of Religion in Language Maintenance. Spolsky, Bernard. (2006). Introduction Part II. In Tope Omoniyi & Joshua A. Fishman (Eds. 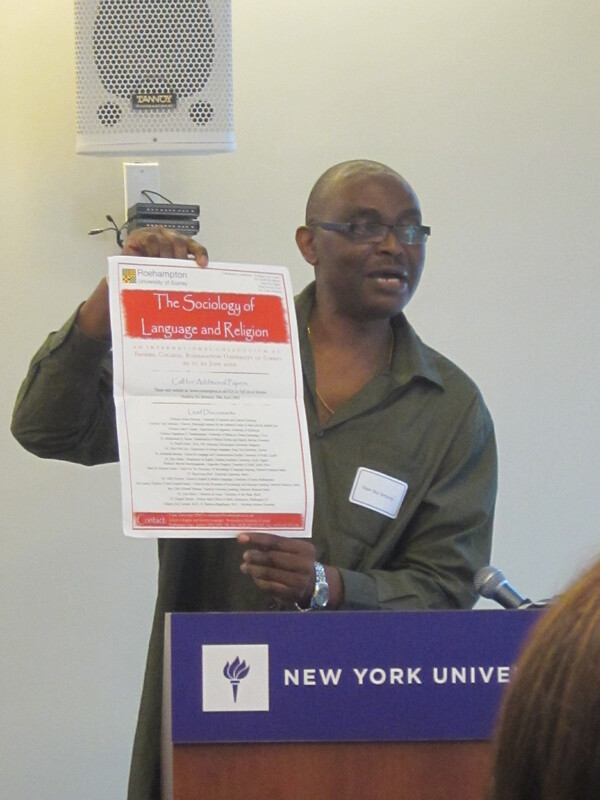 ), Explorations in the sociology of language and religion (pp. 4-9). Amsterdam & Philadelphia: John Benjamins Publishing Company. Spolsky, B. (2011). Language policy. In P. C. Hogan (Ed. ), The Cambridge Encyclopedia of the Language Sciences (pp. 421-424). New York NY: Cambridge University Press.